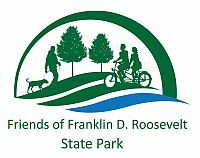 The name of this corporation is Friends of Franklin Delano Roosevelt and Donald J Trump State Parks, Inc., herein referred to as “FoFDR”. The parks are located in New York State in the Town of Yorktown in Westchester County, and in the Town of Putnam Valley in Putnam County. FoFDR supports the maintenance, operations, enhancement, and improvement of the parks, promotes educational programs that encourage the protection and conservation of natural resources, and provides recreational activities for park visitors. Any person, family, or organization subscribing to the purpose of FoFDR, who applies for membership, signs New York State’s Volunteer Service Agreement, and attends one meeting in the previous 12 months, is a Member. FoFDR is governed by a Board of Directors (Board) which shall have the general power to control and manage the affairs and the property of FoFDR in accordance with the purposes and limitations set forth in the certificate of incorporation. All Board members (Directors) must be current members of FoFDR. The Board shall have a minimum of six (6) members and a maximum of fifteen (15) members divided into two (2) staggered classes of a minimum of three (3) and a maximum of eight (8) with the number in each class determined each year by the Nominating Committee. The term of office for each Director shall be two (2) years and end with the completion of the Annual Meeting, with the election of a successor, or by death, resignation, or removal. At the Annual Meeting, the general membership will elect members of the Board (Directors) by a majority vote. There are two (2) classes of Directors each serving a term of two (2) years; their terms expire at the alternate annual meetings. Directors have a maximum number of four (4) terms, but may return after an absence of one year. Within one week of the Annual Meeting, the Board will elect Officers, by a majority vote. Officers have two year terms may only serve four consecutive terms with terms ending at the conclusion of the Annual Meeting. No more than two (2) officers shall have their terms expire in the same year. To be eligible to be an officer, Board members need at least one (1) consecutive year of service on the Board. At Board meetings, half of the Board members present constitute a quorum. Nominations for vacancies or upcoming vacancies for the Board shall be made by the Nominations Committee as set forth in the Nomination Policy. The slate is presented to Members in the notice of the Annual Meeting sent one (1) month in advance. Any director or officer who fails to attend three (3) consecutive meetings without notifying the President, or fails to execute the duties of their office, may be removed by a majority vote of all Directors present at any Board Meeting, provided that the Director to be removed is notified one (1) month in advance, in writing, by mail, of the intention to the vote to remove them. A director may be removed for cause such as a conviction of a criminal offense. Each board member and nominated board member shall sign the Conflict of Interest Policy annually before the annual elections are held. The Board shall conduct their meetings at least quarterly with written notice of meetings sent one (1) week in advance. Within the FoFDR, e-mail will be considered written communication or notice, excluding where otherwise stipulated herein.e Park Manager or designee shall be invited to all Board Meetings. The President or three (3) Directors may call special meetings of the Board by notifying Directors one (1) week in advance, but with unanimous consent of the Board, exceptions to notification period can be made. An Annual Meeting of the membership of FoFDR shall be held in the first quarter of the year and be open to all members and interested participants as agreed to by the Board. Members of FoFDR shall receive notice of the meeting one (1) month in advance. Business of the meeting will be conducted by the President including elections of the members of the Board of Directors and filling any vacancies in the Board. The principle of “one person one vote” applies at the Annual Meeting. Each member of the Board of Directors and any Member in good standing at the time of the meeting and in attendance, may cast one ballot on any question put to a vote. At an Annual Meeting a quorum is 10% of the total number of votes entitled to be cast. To the extent permitted by law, any action required or permitted at any meeting may be made without a meeting, if written consent by all members of the Board authorizing such an action is a resolution is filed with the minutes of the Board. Each Committee shall have a Chairperson assigned by the Board. The Committee will be responsible for providing minutes of each meeting and actions taken by the Committee for reporting to the Board. Any Committee shall limit its activities to the purpose for which it was created. A Finance Committee shall help manage and plan for the funds needed for FoFDR. The Treasurer is chair of the Finance Committee and will be responsible for its actions. The Finance Committee, minus the Treasurer, is responsible for auditing the books. The Board of Directors sets dues. The Treasurer shall be responsible for maintaining adequate financial records, preparing a financial report for each scheduled Board meeting, and coordinating with the president in collecting all fees to be deposited in the name of the FoFDR, in a reliable bank selected by the Board. FoFDR shall use its funds only to accomplish the purposes specified in the Certificate of Incorporation and these Bylaws, and no part of its net earnings shall inure, or be distributed, to any member of FoFDR. Upon dissolution of FoFDR, any funds remaining shall be distributed to one or more regularly organized and qualified organizations having objectives similar to those of FoFDR, in accordance with section 501(c)(3) of the Internal Revenue Code as now in force or afterwards amended. Such distribution shall be determined by the Board. The Board may determine the scope and eligibility of expenses which are eligible for reimbursement. These Bylaws may be amended at any meeting of the Board, providing the Directors have been notified at least one (1) month before the planned vote. A majority of Board members must approve any amendments.